2011 was a great crafting year for me! I was beyond blessed and so happy to have been asked to be a Hero Arts Hostess! I was part of an amazing group of 5 talented ladies from February through April! It was a great three months. One of my favorite cards is actually the one that they introduced me as one of the apron ladies on the Hero Arts blog here. I wanted a fun card using one of my favorite color combos. You don't know how much thought I put into this card I made several versions and emailed my local crafty friends for advice! This is another favorite card of mine, not only do I love the stamp but it's my first time trying stamp kissing technique and I loved doing it! It may be odd to have a sympathy card as a favorite from 2011 but it is! This has to be one of my favorite cards because I made it on my first video ever, and for Hero Arts! You can see the video here. About a week after the video going up I went to look at it and almost fell off my chair when I saw that it had 5,500 hits! I couldn't believe it! Talk about shocked! With that said when I made my next video for Hero Arts I was beyond nervous! Could you tell? I did three cards in that video and this one is my favorite of them, you can see the video here. This card for sure is one of my favorites, I made it as my last card saying thank you being a hostess and it was shared on the HA blog. I think this stamp set nd Basic Grey papers is my favorite that they released in 2011!! In July I was a guest designer for Market Street Stamps! I love there stamps! This isn't one of the cards that I made for that but one I made later with there stamps that I love! This is one of my favorite Christmas cards that I made this year, I made it for my first class that I taught this past November! And there you have it! My favorite cards from 2011! It's been a great year for me crafty wise and I can't wait to see what 2012 holds in store!!! I better run, the kids are gone and were heading out to party with a bunch of friends! 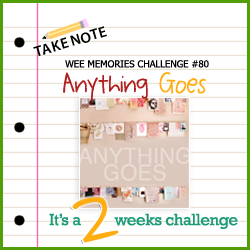 I am here with a new Wee Memories Scrappy Saturday Challenge! We have such a great fitting challenge! Our challenge is New! 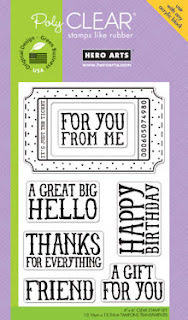 Something new like a new to you technique, new stamps, new papers, a new baby card or whatever new you can come up with! I am so excited for what Wee Memories has in store for you for 2012, wait till you see the challenges we have in store for you! I made a card with some new papers from Authentique. Well there sorta new, I did buy them a bit ago but with Christmas cards and Christmas didn't have a chance to play with them. On Thursday night Chad's parents took the kids on a sleepover with some of there cousins! So Chad and I went on a double date with his brother and his wife! We went for some pizza that's cooked over coals and than saw a movie! It was a great movie we all really enjoyed it, so funny! We had a great night out and were happy to sleep in! :> I hope and plan in 2012 to try to get out on dates more! I hope that you have a fantastic New Years Eve ringing in 2012! Wishing you a joyful, prosperous, happy, peaceful New Year! I hope that you will join us this week for this challenge! Please check out the Wee Memories blog for more details! 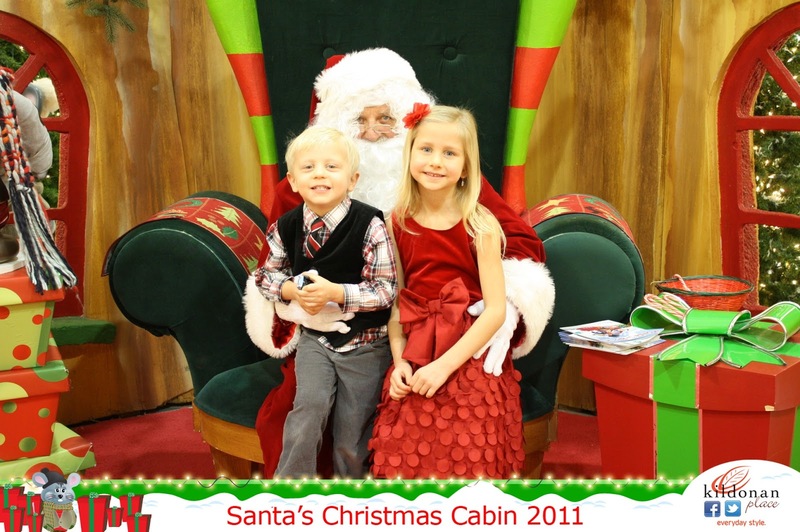 Holiday Photos and more Wreaths! Hello! I hope that you had an amazing Christmas! We sure did! We had a great time celebrating with family the birth of our savior! It was busy but great and I won't lie, I am glad that it's over! We have been enjoying time at home now recuperating after such a busy time. I know that I may have overdone it before with wrapping gifts, baking, and all the gifts that I made. I am trying to take it easy today but other projects that I have in mind are calling my name! I want to share my Christmas card with you. 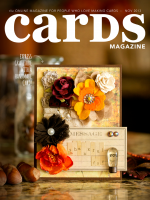 I did photo cards but also gave handmade cards to family. I even ran out of handmade cards and made some last minute! I also made my mom one almost the same as it would work well with her home. She loved it! Here are a few opening present photos. Carter always stops and smiles really nice for photos when he is opening presents! I think that next year's family photo may be of us holding presents or something! Well that's it from me today! Hope your enjoying this time off! It's slow time for Chad so were enjoying family time at home! Lots of Crafty Stuff and Santa Photo! I did some paper piecing and embossing on this card, my color scheme came from the pattern paper! Yesterday was Ariel's last day of school before Christmas Holidays! I made her teacher photo coasters of her grandchildren, I happen to be friends with her daughter and daughter-in-law so I asked them on facebook to send me some photos a bit ago and didn't tell them what I was making! I forgot to take photos of them but I am making the same for my MIL so I will show those one later. Ariel ended up being sick so we went in and dropped everything off. Her teacher later emailed me telling me how much she loved the coasters! Yay! I made the chocolate covered marshamallow snowman like last year again, but had to change them a bit to make them peanut free. (M&M's are not!) So I used smarties and gel for the eyes and nose! Doesn't the pretzels look good:? They are! I made a whole bunch more last night for the neighbors and when I went to package them up I can't find the pretzel bags! I have looked everywhere! I am wondering if because I finished the teacher gifts at midnight if I accidently threw them away? And I refuse to go back to Michaels and buy more because I have been there everyday this week if not twice! (To buy stuff for the wreaths mostly!) Chad told me not to worry about it as he wants us to keep it for ourselves! Well I am off have a lot of crafty things to do today but first baking some roll out cookies with the kids! In case I am not back I want to wish you and your family a Merry Christmas! Sparkly Bird in a Tree and Another Wreath! Hello! Happy Monday! I made it through the weekend alive! :> Wow what a busy weekend. It's hard for me to even remember all the gatherings and such! I am so loving having a more handmade Christmas but the work needed to have one and keep up with everything else.... Oh well I made it and I finished my projects that I needed for yesterday in time! I am here late with the current Wee Memories Scrappy Saturday challenge. 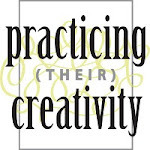 Note to self when you start writing a blog post just finish it so that your not late! Opps! This week our challenge is running for two weeks which is perfect since the upcoming weekend in Christmas! And our challenge is easy it's ANYTHING GOES! 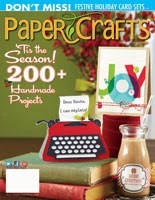 So if your crafting last minute for the holidays or after just to relax please share with us! 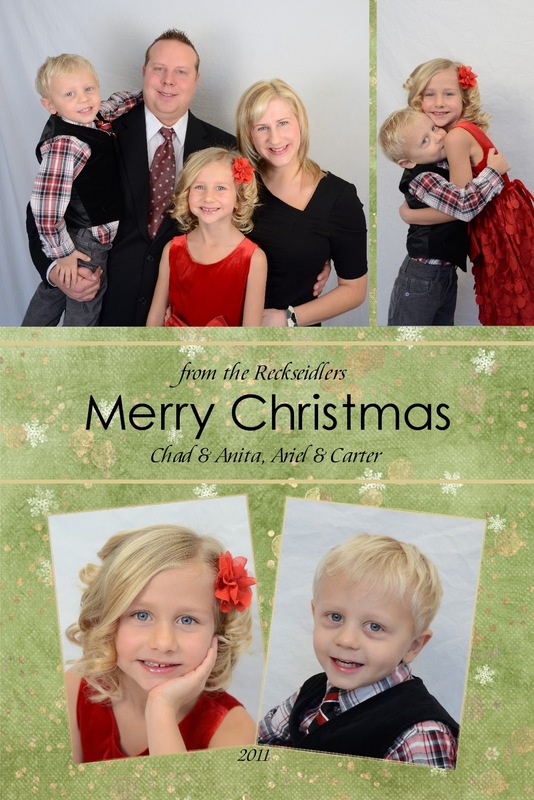 Today I have to share with you one of my favorite Christmas cards! I stamped and embossed with gliterry powder by Ranger the Merriest Wishes stamp. I love this silhouette image all glittery! I went with a clean look with the rest of the card by mating it with a silver paper, and stamping the magical background with pumice stone distress ink by TH. I loved making this card so much I am working on 8 more of them! Almost done! Chad's grandma lives in a condo and has a white door so I wanted the base to have color rather than cream like my other. First I had a hard time picking the colors (didn't help that Michaels sells out of felt pronto, and didn't feel like driving to fabric land!) I wanted colored that would work all winter. Than I had a hard time deciding on flowers which ones to make, I had a certain one that I wanted to make took me a long time of searching to find a tutorial finally did and when I made one it was a flop! Finally settled on these and am happy with how it turned out! And on time too! She loved it! These wreaths are pretty simple to make so if your looking for a handmade gift idea I totally recommend them! I think I may make my mom one too! Now to actually find a wreathform it seems like Michaels is the only place but they are cleared out! Well I better be off and do some cleaning around here! I am happily spending the day at home! I may start on a few other projects! 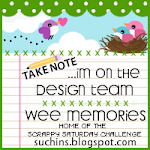 I hope you check out the Wee Memories Blog and check out the challenge and the fellow talented DT's creations! Yarn and Felt Flower Wreath and a winner! I am making a few gifts this year though! And I have to say that I absolutely love it! I enjoy it so much more than shopping, and I really like shopping! We celebrate Chad's mother's birthday this past weekend and I made her gift! I saw on Pintrest wreaths made from yarn and felt flowers. I looked at LOTS of them and came up with my own! It was so fun to make! I lucked out because on my way to buying the supplies at Michaels I stopped in at our dollarama and they had great chenille yarn in this off white color! For $1! :> I went with a jewel red, light grey and charcoal grey because my MIL's door is brown so it will stand out, and because it's winter colors so that it can be displayed all winter not just Christmas! :> The big red flower took the longest to make, about an hour! And while I made it I couldn't in vision it and really thought it was not going to turn out. I was so happy when it did! The pearls are leftover from a few months ago when I tried to make a ribbon and pearl necklace. So glad I remembered them because I feel that it's the perfect touch for the wreath! Chad's grandmother really liked the wreath too so I am working on one for her as a Christmas gift! I have to have it done by Sunday as we celebrate with her than! Happy Birthday Anita. I hope you had a fabulous day!! WOW WOW WOW I love your wreath it was definately worth all the hard work. It looks stunning in your hall!!!!!! I did want to share a cute photo Chad captured of the kids and me on my Birthday. We were out to eat at a new restaurant that served intresting pizza cooked over coals! Well I better go! Carter is napping and I am so enjoying a quiet house! Gotta get my craft on! Hello! Happy Thursday! First off I want to say thank you so much for all the lovely birthday wishes! Had a wonderful day yesterday! We went to a newish restaurant for some pizza cooked over coals, so yummy! And why is it that my kids eat so much better in a restaurant? :> If you didn't enter already I do have a giveaway with my birthday post it's the post after this one. I wanted to pop in with a Birthday Card for Virginia Lu!!! It's her 50th Birthday tomorrow and she is hosting a Virtual Birthday Celebration! I decided to make her a wintery birthday card. Having a December birthday I've seen that Hallmark makes them (sadly no one has ever gotten me one!) So I had to make it. Plus I really like my new sparkly embossing powder and wanted to use it! I hope you like this card Virginia! And I hope your birthday is as special as you are because you are so special! I think I really like this spot for it! Refreshes my beloved mirror! I have other crafty home ideas I've seen on pinterest so I hope to make a few more things for my home and gifts! What do you think of the spot I put it? To me this is not a Christmas wreath at all so I will keep it up for a bit. Who knows how long until I come up with another idea? Could it be a keeper there? Well I am off to get ready for dinner! Hope you have a fantastic day! A Card and Christmas Concert Photos! Guest Designer at GCD Studios!